Three relaxing sound tracks to relieve stress with piano, flutes, clarinets, violins, and guitars. They make you feel like you're walking into beautiful dreams. Joel Steudler is a composer and graphic artist whose work can be found in film, television, videogames, and comic books. 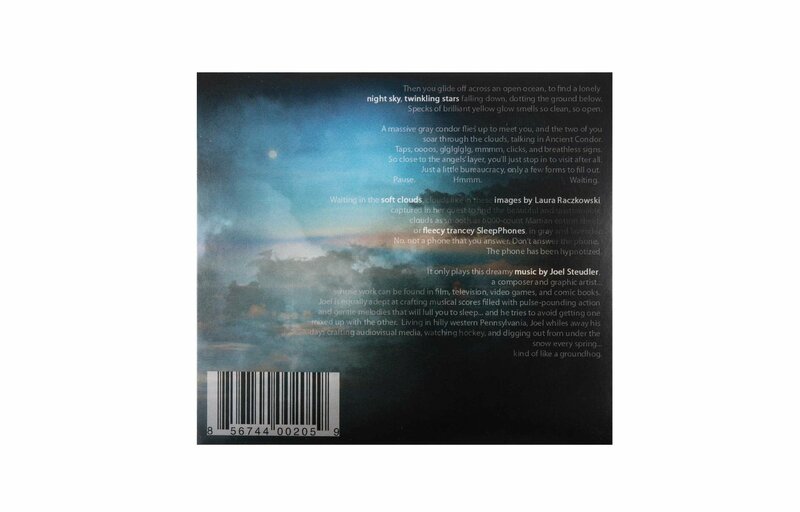 Joel is equally adept at crafting musical scores filled with pulse pounding action and gentle melodies that will lull you to sleep... and he tries to avoid getting one mixed up with the other. Living in hilly western Pennsylvania, Joel whiles away his days crafting audiovisual media, watching hockey, and digging out from under the snow every spring... kind of like a groundhog. Laura Raczkowski is an artist we met at the State College PA Arts Fest of 2009. She was one of the artists at the Penn State University student booth. She created some beautiful pictures of clouds and natural images, which we loved. 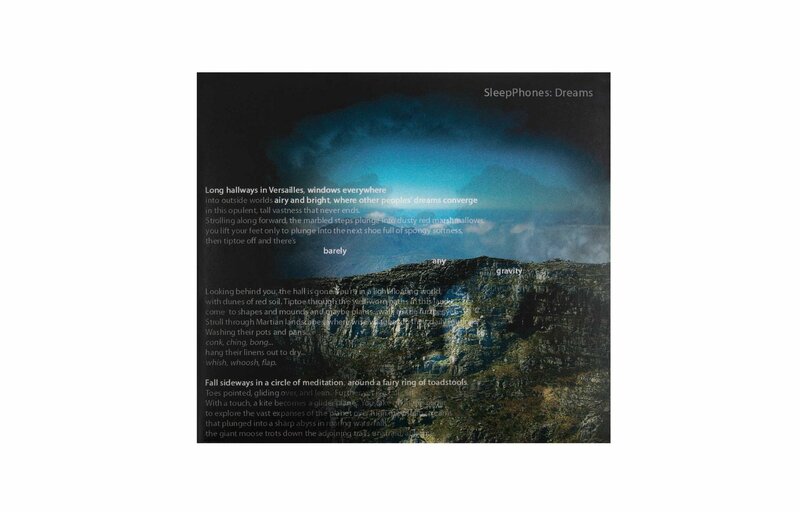 We commissioned her to create the CD cover and CD design for the SleepPhones Dreams CD. She is currently located in Norman, OK.